Just like babies, puppies and kitties need a lot of rest because it is a part of their development. However, they will not take a nap all day long, they should be playful, energetic and noisy (some are more active than others). If your little friend tend to be too lazy, or exhibits lack of activity, this is the time for you to consider taking them to the vet, as this could be a sign of an illness. Your pet may experience inappetence for many reasons, like being stressed out from moving to a new place, or being worried about an absence of their family member. Unfortunately, the reason can be more complicated. You should try coaxing them to eat their favorite foods; if they still refuse to eat it can be a symptom of an illness. Diarrhea is not fun for anyone, especially for pets. It can be caused by anxiety or a change in diet, or it could come from a parasite, bacteria or virus. Head to the vet immediately and if possible take pictures of the stool or, even better, provide the stool itself to the vet to analyze. Simply seeing the texture, content and color (if there is blood or strange things in it) and help the vet diagnose the problem. Severe diarrhea in kittens and puppies can quickly lead to dehydration and even to death—it should never be ignored. Same as diarrhea, vomiting can come from a nervous reaction to changes in living environment. However, it could also come from something more serious. In some cases, your little buddy has consumed food too quickly, then you should consider giving them smaller meals split to several times a day to prevent them from taking too much at once. If vomiting is still going, or change in content or color (red, green, yellow etc.) you should take them to the vet right away. Pets can’t talk, but it doesn’t mean they don’t try to communicate with us. 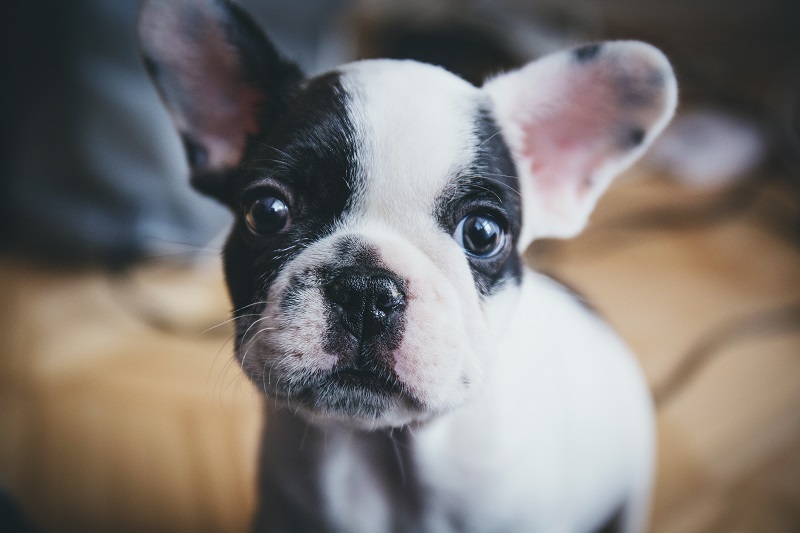 If you notice your puppy or kitty is making strange noises, or whining, that can be because they are hurting somewhere or they are trying to tell you something about their health. Sometimes they whimper comes they want you to notice them, but if it is unusually persistant then it might not just be about getting attention anymore. Whimpering can come when they are hurting or suffering from internal pain. Similar to licking and scratching, coughing or sneezing is sometimes a normal reaction to the environment, but if it is sudden and often then it could be more serious, especially when nose discharge or strange breathing noises are present. In some cases, puppies and kitties can be allergic to smells like perfumes or deodorant sprays which can make them feel uncomfortable. If you see your pet with these symptoms, talk to your vet. When adopting a puppy or kitty, it’s your responsibility to take care of them and their health is just one part of it. Take some time to keep your eyes on them and you will receive more than what you give because your little buddies are the only things on earth that loves you more than they love themselves.